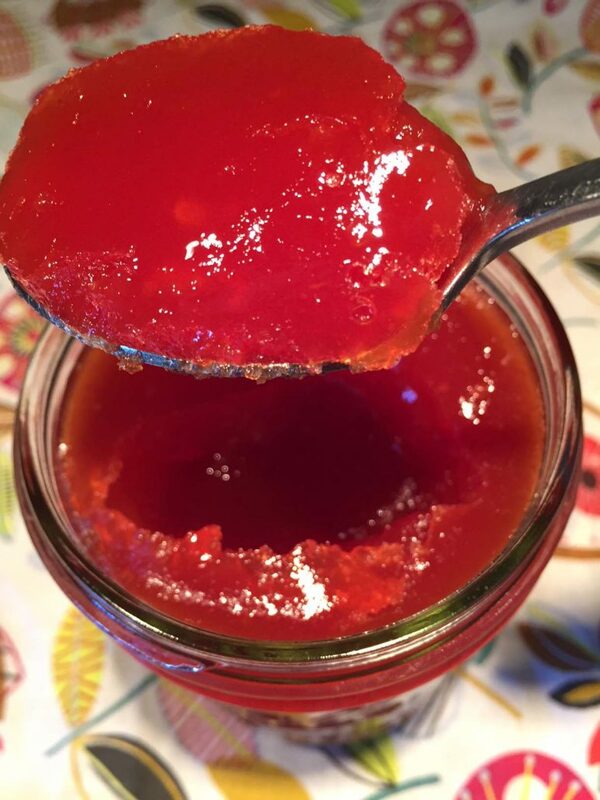 This watermelon jam is so simple to make, tastes amazing and turns out perfect every time! This is the only watermelon jam recipe you’ll ever need! If you are a beginner who wants a foolproof method of making watermelon jam, look no further! This is the easiest watermelon jam recipe on the Internet and it turns out perfect every time! 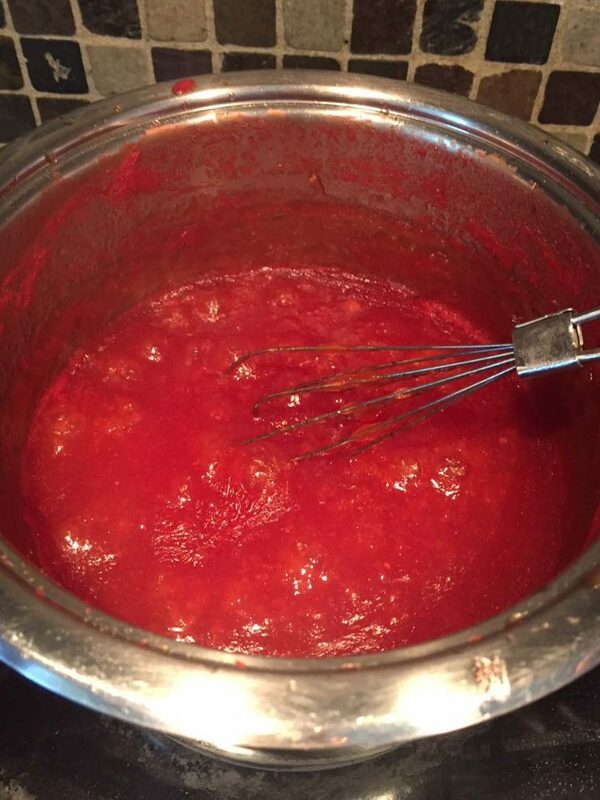 Since watermelon is naturally very watery, turning it into jam is not very straight-forward. If you take another type of jam recipe (for example, strawberry jam, peach jam, etc.) and just change the fruit to watermelon, it won’t work 🙂 After all, you want to end up with watermelon jam, not watermelon syrup. 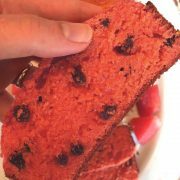 My recipe produces a real thick watermelon jam that’s gorgeous red in color and tastes like extremely concentrated sweet watermelon! 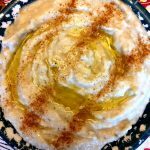 It’s super easy to follow and only uses 4 ingredients! With this homemade watermelon jam, you’ll be tasting *summer* long after the summer is over! 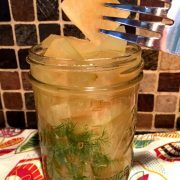 Preserving the summer watermelon flavor has never been easier when you have this simple jam recipe on your hands 🙂 And if you are looking for another awesome way to preserve watermelons, check out my pickled watermelon slices recipe – it’s pretty unique in a sense that it pickles the actual watermelon, not just the rind! Making watermelon jam is super easy. All you need to do is puree the watermelon flesh in a blender or food processor, then put it in a pot, add sugar, lemon juice and pectin, then boil for 20 minutes and you are done! Homemade Pineapple Jam – it’s like a sunshine in a bottle! So sweet and concentrated pineapple flavor! Watermelon Gazpacho – refreshing blender soup made with watermelon and veggies, so healthy and delicious! 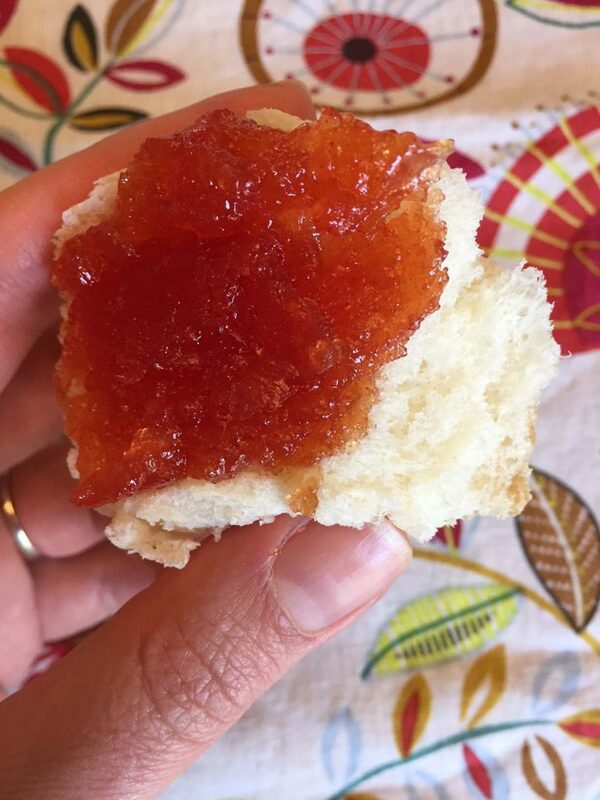 Fresh Fig Jam – when fresh figs are in season, make this homemade fig jam out of them – it’s amazing! 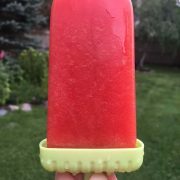 Watermelon Popsicles – sweet treat that’s actually good for you! 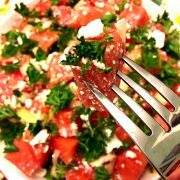 This recipe is only using 1 ingredient – real fresh watermelon! 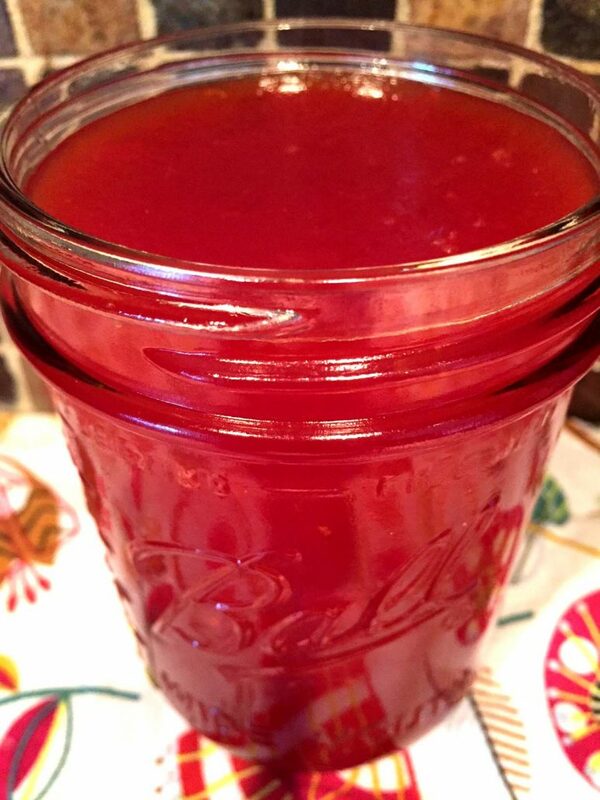 Watermelon Jam - Easy and Foolproof! This watermelon jam recipe is super easy and works every time! Produces perfectly set jam that tastes like extremely concentrated watermelon! This is the only watermelon jam recipe you'll even need! Put pureed watermelon, lemon juice and sugar in a pot. Bring to a rolling boil, then reduce heat to simmer. Add the pectin and whisk it with a handheld whisk or a fork immediately, so it dissolves without clumping. 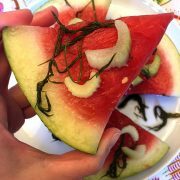 Bring the watermelon jam to a boil again, then reduce heat to simmer and simmer, stirring every minute, for 20 minutes. Pour the watermelon jar into a mason jar. This watermelon jam will set completely once it's cooled. 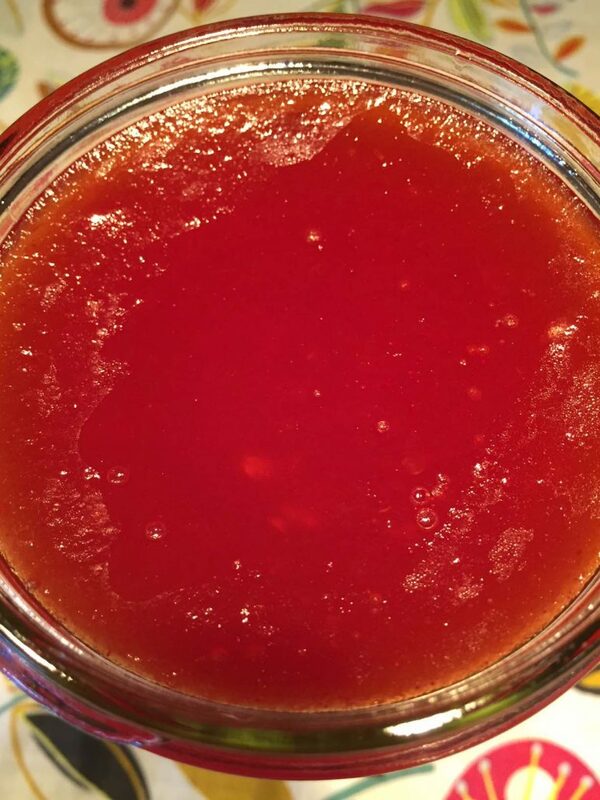 This watermelon jam can be canned, or you can simply store it in a refrigerator (it will stay fresh in a refrigerator for up to 1 month). 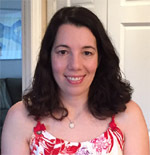 Can I use liquid pectin? If so how much? Yes. 2 tbsp of powdered pectin equals 1 packet of liquid pectin, so you need 3 packets for this recipe.